Born and raised in France, Maud attended a well-known design school, the Ecole Duperré, majoring in textile arts. During her last year in school, she traveled to Mali for an Indigo workshop. Indigo dye is a natural dye, from the plant Indigofera tinctoria - it is written that the dye was first widely used in India (ancient Phoenicia used a similar color that came from a rock snail, the Murex). Nowadays, Indigo is still widely used in Western Africa, in countries such as Guinea, Senegal and Mali. After obtaining her degree, Maud worked in fashion design, as a freelancer for several years, in Paris. 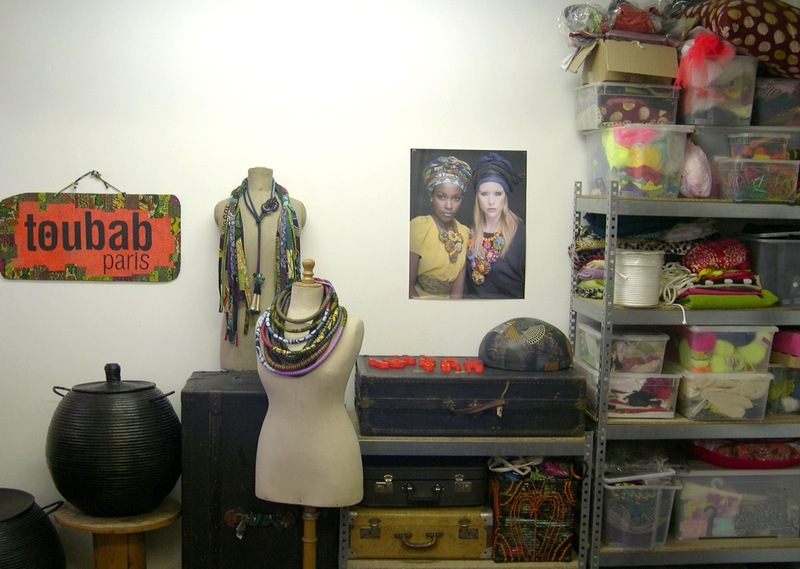 However, the love of offbeat elements (such as "repurposed' suitcases) and of African style never left her, and she started her own company: Toubab Paris. 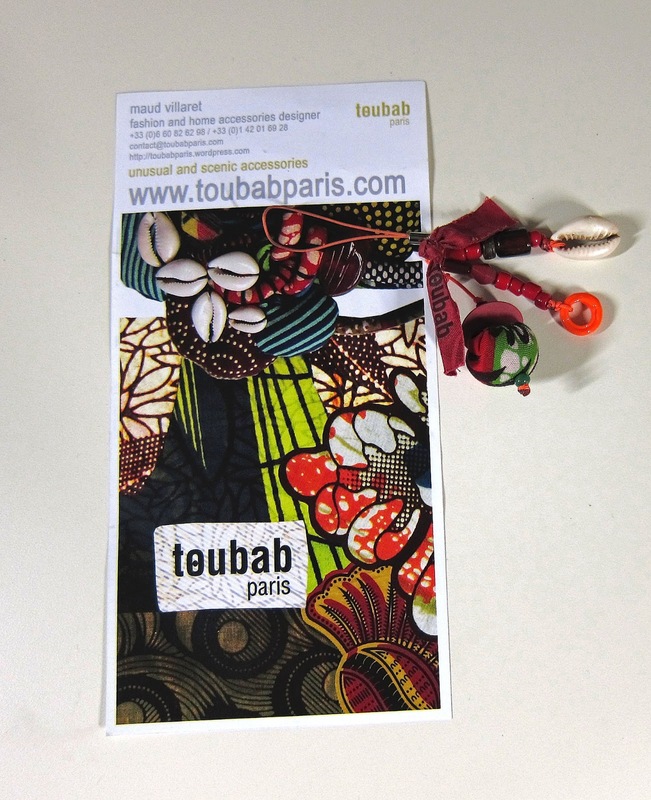 Toubab Paris uses discarded materials, and recycles them into original, one of a kind or limited series, colorful accessories that will pep up any outfit. The ideas are never ending in Maud's imagination, and she is constantly coming up with new styles and designs, for all tastes and budgets. One of her first clients was the Quai Branly Museum. Sustainability is not only in the re-use of objects and materials but also in the fact that the company employs women trained for "re-insertion into the professional world" in the Paris suburbs, as well as artisans throughout the African continent. The accessories are currently sold in about 15 countries, including France, England, Belgium, Japan and Australia, and have received glowing press reviews in a variety of magazines. 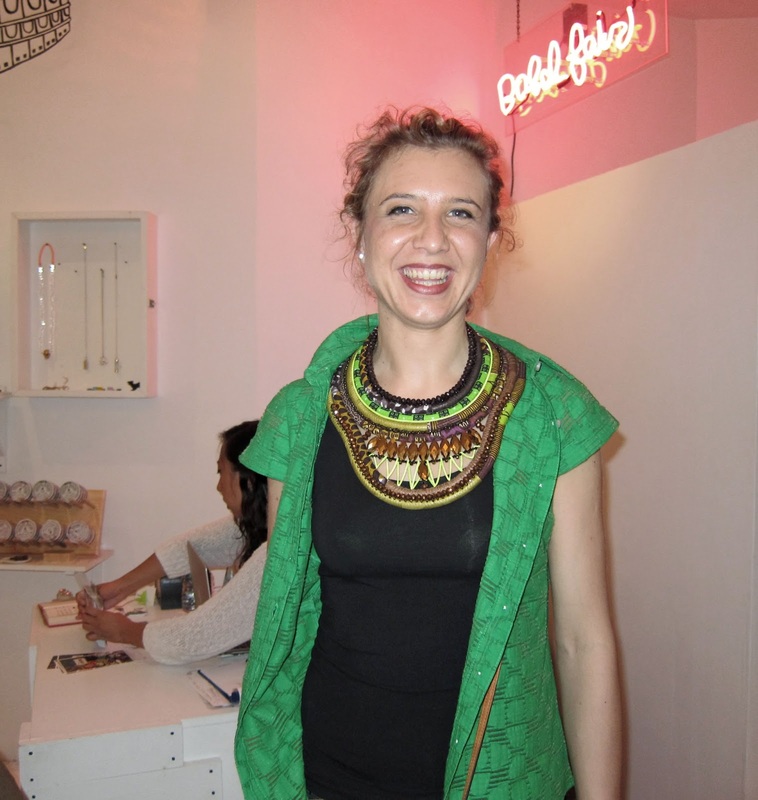 Recently, Toubab Paris held a trunk show at a boutique in Soho, Babel Fair, owned and managed by Erica Kiang. Babel Fair specializes in unique pieces from international designers and took an immediate liking to Toubab's African and French fusion aesthetic. 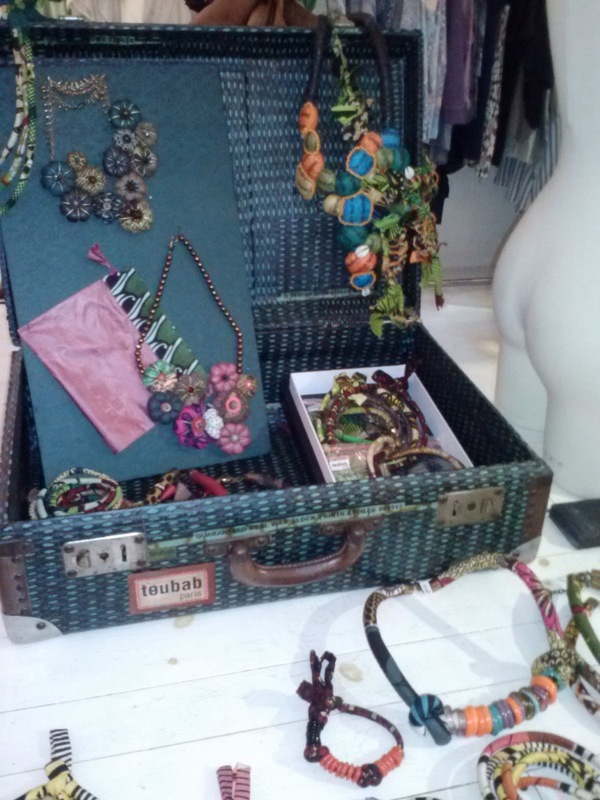 A blog post with more photos of the 2013 Toubab Paris New York showing is available at African Prints in Fashion. We met Pierre Thiam about ten years ago in Brooklyn, when he was planning two eateries almost simultaneously. Since then, he has not stood still. He competed against Bobby Flay on Iron Chef America, wrote a cookbook, helped put together a festival of African cuisine in Dakar, and much more. I asked him a few questions about the road he travelled. What is your background--where were you born, raised, in what languages? I was born and raised in Dakar, Senegal. The official language is French but in Senegal, everyone speaks Wolof. My mother is from the south of Senegal, where Portuguese Creole is spoken, and she taught me this language, so I grew up speaking these three languages. When did you decide that you wanted to be a chef, that you loved cooking? How and where did you train? I never thought being a chef was an option because I am from a culture where the kitchen is a gender based activity, reserved for women. I was a physics and chemistry student. However, when I came to NY in the late eighties to finish my studies, my first job was coincidentally in a restaurant. I realized that food was my true calling while working there. Even though cooking wasn't an option when I was growing up, my family always took food matters very seriously. My mom prepared elaborate meals and she was often experimenting in her cooking. When it became clear to me that this was what I really wanted to do, I apprenticed at several restaurants, learning on the job and moving through different stations in the kitchen. By the mid 1990s, I was Sous Chef at a popular restaurant in Soho. What was your trajectory in the United States? Any lessons learned, or regrets, successes, achievements you are especially proud of? My first kitchen experience was working at "Garvins" as a dishwasher first, then as a prep cook. Later, I was hired as a salad chef and garde manger, before being promoted to the grill. Several years later, I was a saucier and line cook at "Jean Claude" Bistro (also in Soho). At "Boom" in 1992, I joined the team of executive chef Geoffrey Murray, which was specialized in global ethnic cuisine. After several years, Boom's team opened a branch in South Beach Miami and I was sent there as the chef de cuisine. Later, we opened an avant-garde African themed restaurant named Two Rooms in midtown Manhattan. After Two Rooms along with longtime friends in Brooklyn, we opened Yolele, an African inspired bistro on Fulton Street. Unfortunately, the partnership faltered and we closed after a couple of years. 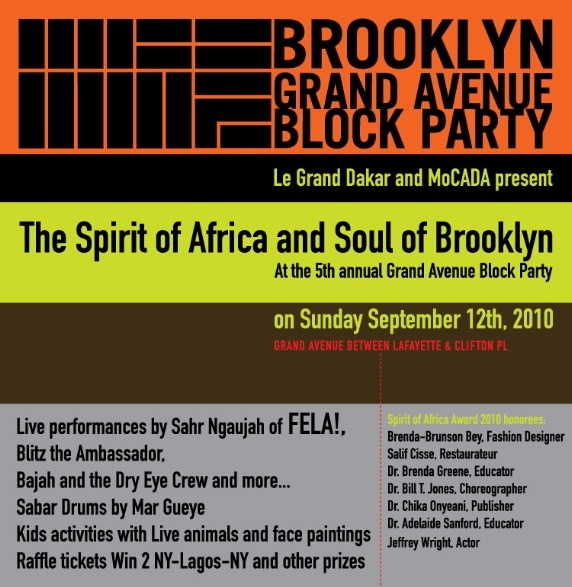 I also opened Le Grand Dakar, my second restaurant serving contemporary West African cuisine in Clinton Hill, Brooklyn. I closed it after a seven year run. My restaurants served as cultural centers, introducing African arts, and live music. What are your current activities? I am renting a kitchen in Harlem that serves as a base for a line of products I am developing. I also run my catering business from the Harlem kitchen. I consult for 2 restaurants, one of which is opening this summer and another one next year. I travel frequently: last year alone I prepared a dinner in Cuba for the Havana Biennial, and spent 10 days traveling around south Africa for a consulting job. I've been lecturing around Africa for the need to promote our culinary tradition and ingredients. I received the Responsible Tourism Award at the African Travel Association (ATA) world congress in Victoria Falls, Zimbabwe. More recently, I partnered with the Senegalese Ministry of Trade to organize AfroEats, an international food festival in Dakar. I traveled with chefs from the United States, France, Cameroon, Togo, Ivory Coast, and Mexico, for a culinary tour of Senegalese cuisine. 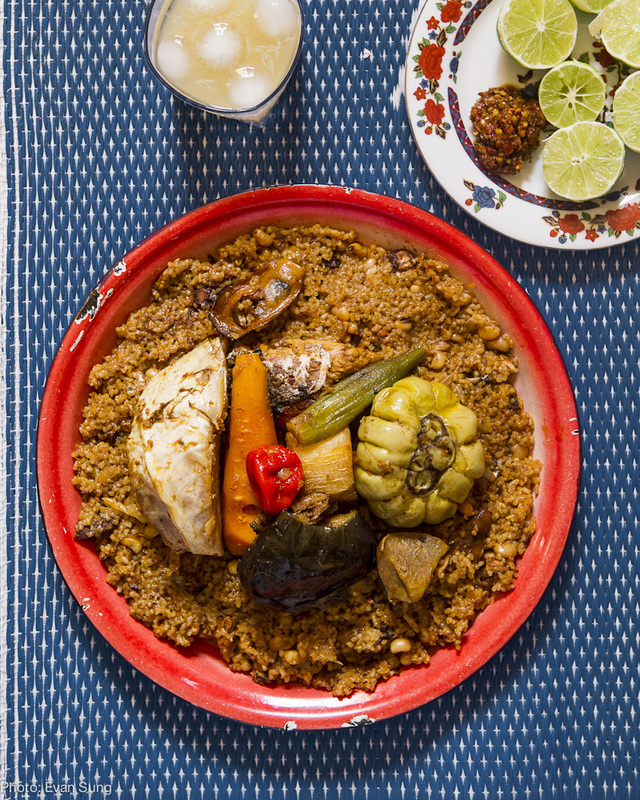 In Dakar, the chefs met with nutritionists and food entrepreneurs; for 5 days we were educated on the virtues of eating local African food. 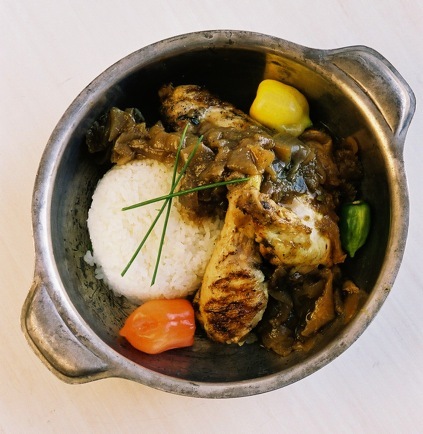 In a way, I play an unofficial role of ambassador of African cuisine. 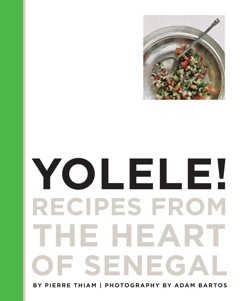 Another proud achievement is my cookbook "Yolele! 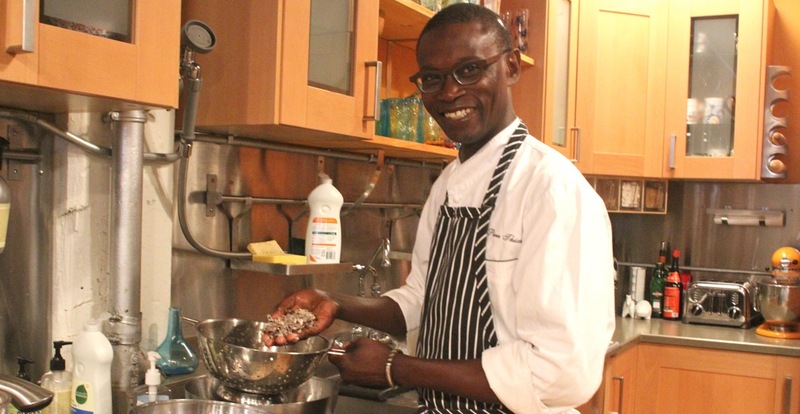 Recipes from the Heart of Senegal" which was a finalist of the Julia Child Award and received the Jury Prize in Paris for the World Gourmand Award. I plan to still spread the gospel of our cuisine while having fun. I am writing a new book. This summer, I am partnering with a charity called Mama Hope and we will open a Pop Up restaurant on Mount Kilimanjaro. An overview of the book's themes.